Victoria Hotel Vietnam is not just a hotel name, but a collection of 4-star hotels and resorts of the boutique French colonial style. Whoever that has stayed at any of the Hotel of the Victoria Hotel Vietnam could never forget the deep impression it makes. The most authentic point of the Victoria Hotel Vietnam is that each of its hotel is situated by the beach or the mountain, bringing the purest atmosphere and most beautiful landscape to guests. Victoria Hotel Vietnam is the pioneer in the unique destinations of not only Vietnam but also Cambodia. The Victoria Hotel Vietnam collection is most suitable for those who would like to rest their head in a pure and peaceful place. The 4-star hospitality experience in any of the 5 Vietnam regions within the collection (Sapa, Hoian, Phan Thiet, Can Tho, Chau Doc) with personalized touches and qualitative service would never disappoint its guests. The Sapa property of Victoria Hotel Vietnam is one of the greatest pride of the Hotel Collection Management, because it is the best harmony of a cozy traditional French style décor and the modern way of decoration. Going up the beaten track mountain to the foggy & beautiful Sapa, the Victoria Resort appears in the fog like in the fairy tale. Just go, you will have chance to discover North Vietnam’s colorful hill tribes and sublime scenery combining terraced rice paddies and highlands, and enjoy the charming Victoria Sapa Resort & Spa in a perfect natural surroundings. Have you ever visited Hoi An, and Cua Dai Beach? If yes, you will understand why the Victoria Hotel at Hoi An is much preferred by international guests. The reason is simple: a best quality hotel with beautiful sea landscape would lure any even-tough heart of human. Hoi An old town has become the UNESCO World Heritage, which is also an advantage of the Victoria Hoi an Beach Resort. 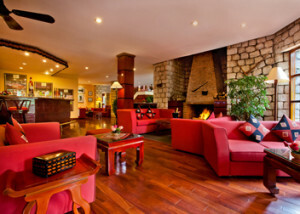 The Resort has a colonial architecture with traditional crafts. Staying here, not only having chances to rest at Cua Dai Beach, one of the most beautiful beaches of Vietnam, guests could also discover the old town of Hoi An with splendid lanterns, the unique point of Hoian, and listen to interesting stories about this beautiful town. Located along a white sand beach, Victoria Hoi An Beach Resort & Spa replicates a traditional fishing village with small streets, water ponds and village houses with clay-tiled roofs, providing a warm and restful environment. Guests would never regret for choosing Victoria Hotel Vietnam in Sapa to rest their head. 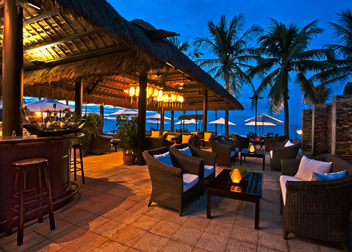 Another great seaside location of Victoria Hotel Vietnam is the Victoria in Phan Thiet, named Victoria Phan Thiet Beach Resort & Spa. Phan Thiet beach is wellknown for the charming fishing village, desrt-like sandunes and deeply rare and precious flora and fauna. The Victoria Hotel Vietnam located here is a great combination of traditional Vietnamese style country houses and romantic Western bungalows. 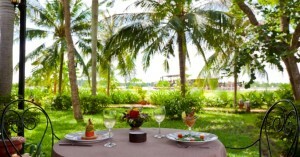 It is situated in an exotic garden along the purely charming beach fringed with coconut trees. Rest here, you will never regret it! 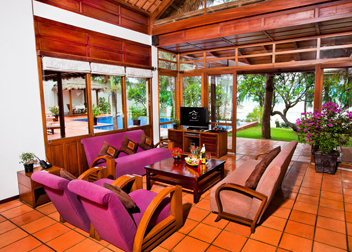 Resort with colonial architecture style is proud to possess the natural beauty of the river. Stay here, you will have chance to watch the sunrise, sunset, cruises floating along the river, and experience the Vietnam’s largest floating markets. Victoria Hotel Vietnam has also put their step on a unique destination – Chau Doc, which is close to the Cambodian border. This land is a fascinating riverside town with an eclectic mix of cultures. The Victoria Hotel Vietnam here also has a colonial style of architecture, lying on the banks of the Bassac River. 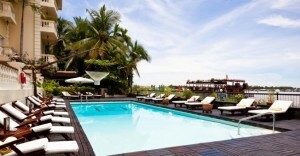 The Victoria Chau Doc Hotel offers a breathtaking view of bustling river life. 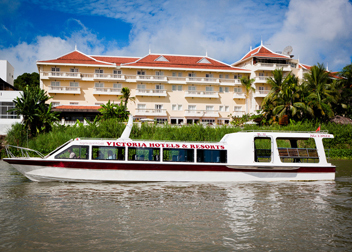 What is more, onboard Victoria speedboats, cruise the mystical Mekong River from Vietnam to Cambodia. If you would like to book a room at any of the above hotels, kindly contact us at +84.936.600.886 or +84.946.762.224, or email us at support@govietnamvisa.com for free information and guide.